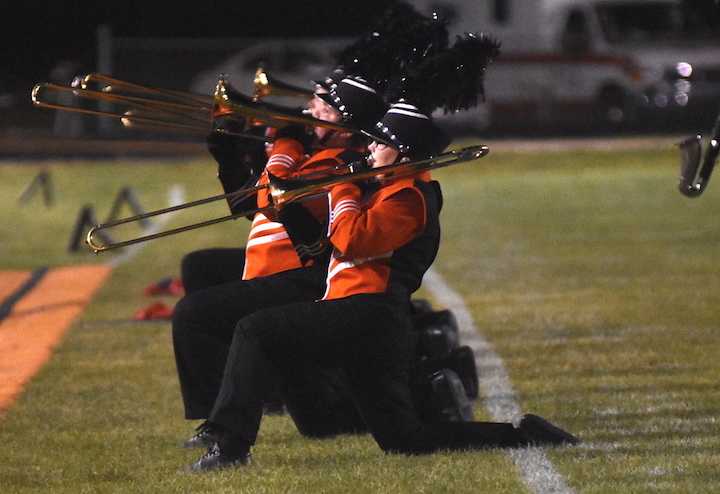 FORT DODGE, Iowa — Beneath a darkened and stormy sky, the Charles City High School marching band performed the moody “Dark Knight” movie theme. The marching Comets, whose show theme this year was “Heroes and Villians,” nailed their performance in the Iowa High School Marching Band Festival in Fort Dodge. They earned a Division I overall rating, the highest possible. Below are all the results from the Fort Dodge site. The state festival is actually divided over many sites. This entry was posted in Arts, Charles City Schools. Bookmark the permalink.